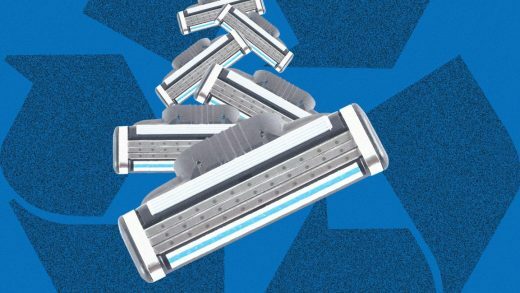 To recycle the razors, people can sign up through Terracycle, a company known for recycling hard-to-recycle materials, and when they have a shipment ready, download a shipping label and send it in so the materials can be sterilized, shredded, and recycled into products like bike racks, park benches, and pet food bowls. The program also offers bins to gyms and other businesses that want to serve as drop-off points in neighborhoods, collecting old razors and packaging until the bins are full and can be returned to Terracycle via UPS (for this option, Gillette covers the cost of shipping). Customers who use Gillette’s subscription service can also now return old razors through their subscription box. Right now, most cities don’t accept razors in municipal recycling bins. “It really all comes down to economics,” says Stephanie Moses, senior account manager of brand partnerships at Terracycle. “Essentially, when it’s more expensive to recycle materials–so the cost of logistics and processing is more than the value of the material–it’s considered nonrecyclable. It just doesn’t make sense from an economic standpoint.” As the company does with other “nonrecyclable” materials, Terracycle will wait until it has aggregated a large volume of old razors to make the process most economical. Gillette is also helping cover the cost of recycling. It’s one step in dealing with the problem of waste, though not a final solution. “Terracycle’s recycling programs and our partnership with Gillette are really solutions to the way that consumer products [are] right now, which is highly disposable,” says Moses. Both Terracycle and Procter & Gamble, which owns the Gillette brand, are also working on a more radical experiment called Loop that explores how packaging–from deodorant and mouthwash containers to ice cream cartons–can be reused rather than recycled. In that project, which will pilot this spring, Gillette is testing a reusable travel case in place of traditional packaging. 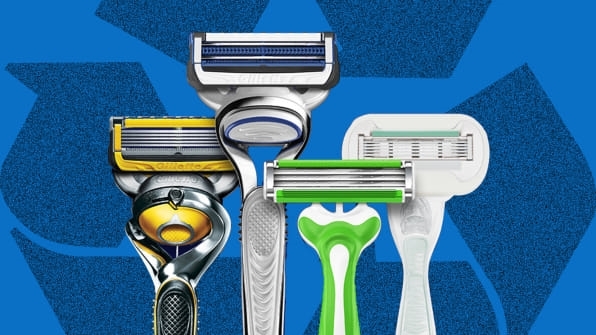 The disposable razor itself could also be redesigned. If some customers don’t want to use electric razors or old-school safety razors, there still might be another solution that’s less wasteful than the current plastic version.